I lose everything. If it’s not my phone charger, it’s my driver’s license. If it’s not my water bottle, it’s that $14 container of Tylenol that I desperately need. But do you know the two things I lose the most? Earrings and headphones. So I’m feeling seen with this Kickstarter project that wants to combine those two things into one device. 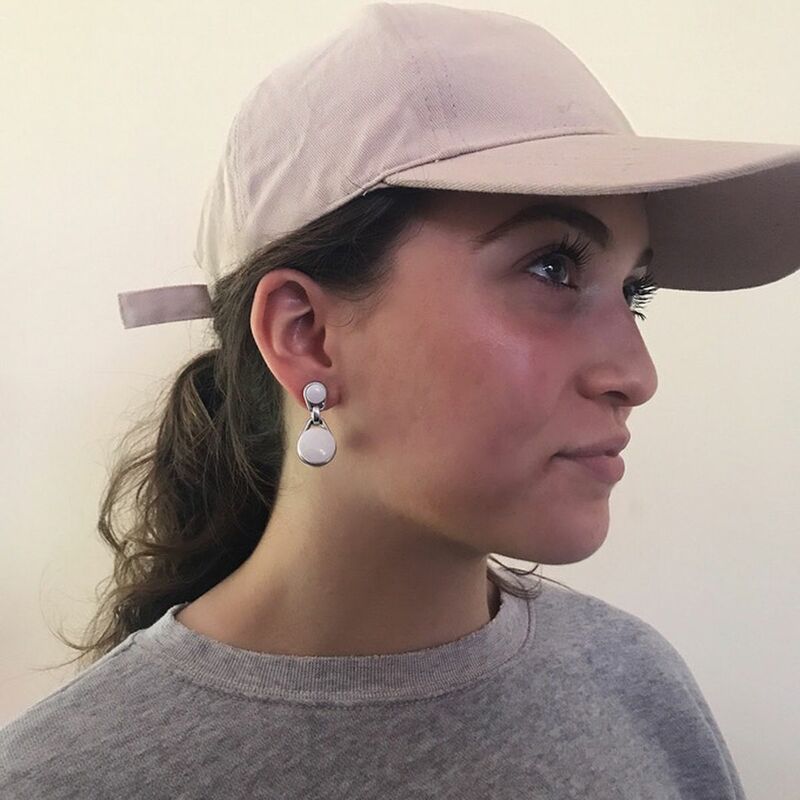 The company behind this project is called Scandi Electronics, and the team is creating Bluetooth earrings for pierced ears. They’re called Swings, and they look like your average beaded earrings. The lower, larger bead is an in-ear headphone in disguise. To switch between earrings and headphones, all you have to do is take the hanging earbud and put it in your ear. Scandi claims that Swings have motion accelerators built in, so audio will start when you put them in. Swings come in two different models: the basic earring and an athletic version. The basic design is more my style and probably that of the standard consumer’s. The earbuds are white, and you can choose from a variety of different colors for the metal surrounding the earbud. For a pair of the standard Swings, you’ll have to pledge $179, and if you want to be really extra, you can pledge $349 to get them encrusted in Swarovski crystals. Personally, I think the Swings Sport look goofy and a little too Jonas Brothers “Year 3000” to wear even for running. The upside on the Swings Sport is that they’re less expensive than the basic pair at $129, and if you pledge an extra $20, you’ll get interchangeable colored bands in red, yellow, pink, and violet. The earring headphones concept sounds out there, but I support this. It’s comforting to hear that one of my most misplaced items could be stuck through a hole in my head that I already willingly put there. So long as the backing doesn’t fall out, those headphones will stay put for the entire day, and I won’t have to fret about losing them. Unfortunately, there aren’t a lot of photos of what the earrings look like from angles where the silicone of the earbud was visible while it’s not inside the ear. Promotional photos seem to hide the silicone well, but it’s unlikely to be that discreet in real life. Scandi says the battery life is comparable on both the Swings and the AirPods, leaving you with five hours of listening time on a full charge. The charging case holds up to 24 hours of battery life, and it takes 15 minutes to add three hours of listening to the headphones. You’ll be able to take calls with the Swings as well, as it has dual microphones — one for each earpiece — and you can use it to call on digital assistants like Alexa, Google Assistant, and Siri. Although I’m digging the concept, Swings are unfortunately not waterproof. If you’re like me and have a tendency to forget you’re wearing earrings and hop in the shower with them on, you’ll easily wreck your investment. There’s also no way to tell this early on how good they sound either since they’re not shipping until April 2019. Still, even with the lack of waterproofing, I think Swings is a start to solving smaller, goofier problems for women (or anyone who enjoys wearing earrings). We wear headphones on the train, we walk with them in, and we work. 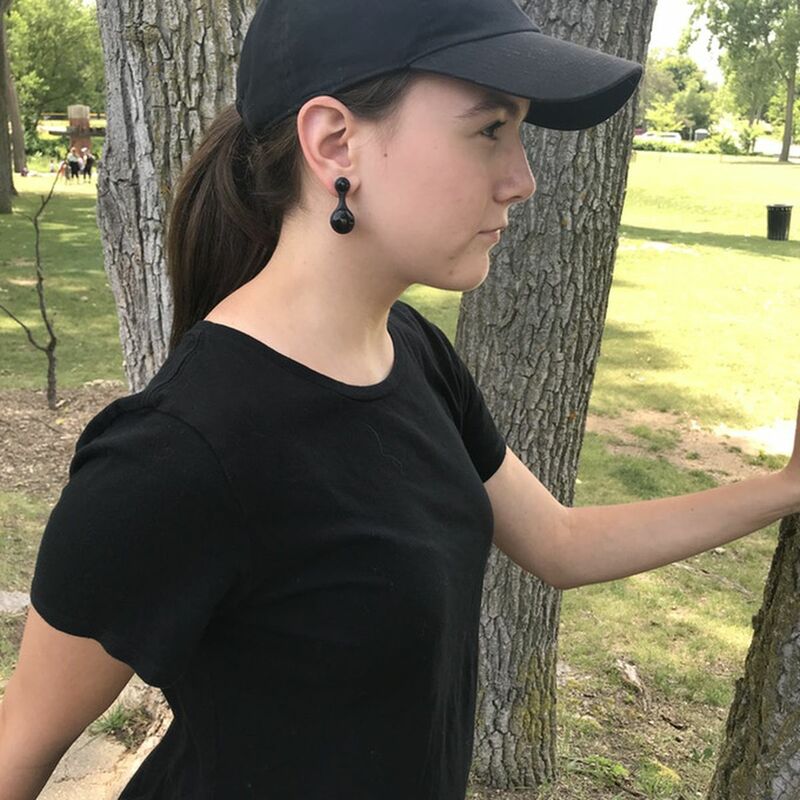 Just as Beats headphones are a fashion statement, the idea of earring headphones proves that gadgets aren’t just devices, but they can also be treated as the accessories that help us show our personal styles.